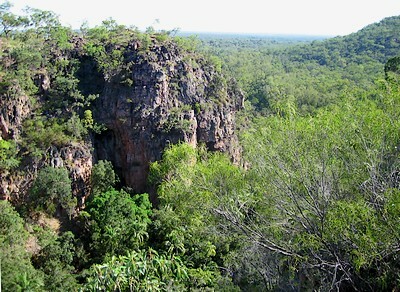 I want to find out more about Litchfield National Park. I am looking to take a trip to Australia in June of 2009. I am planning as much ahead as possible so that I might be as educated as possible before going. One thing that I want to do is go to Litchfield National Park. I do not plan to drive much, but I plan on having equipment to back pak and camp. I was wondering, if I gave no time restrictions and wanted to take in as much of Litchfield as possible, without rushing by everything. How many days would you suggest I stay in the park? I have read your page of things to do in Litchfield National Park, but how much time should I set aside to do them? (Once again, I am looking for a "take it all in" experience.) Also, are there things better to do in the morning or evening... anything special you could let me in on that is important to do at certain times? Thanks! Way to go! To learn as much as possible as early as possible is the best way to get the most out of any Australia trip. And avoiding driving, and backpacking and camping instead, means you get to see the best of it! If you are set up to backpack and camp I'd say most definitely do the Tabletop Track. It would take you about four or five days and takes in Walker Creek, Wangi Falls, Greenant Creek and Florence Falls. I would drive in from the north, spend the first night at Walker Creek, and then access the circuit track from there. Will you be alone? Logistically it requires a bit of planning. You will have to carry enough supplies, but that's the best way to do it. If I was set up to backpack and camp I would not do that part of the park any other way. Once you come down from the range you can drive to have a look at the places you didn't access from the walk. That won't take long, everything is so close together in Litchfield. So, given no time restrictions, that's how I would do it. You are looking at something around six days. It would be a thorough "take it all in" experience, and it would be a true wilderness experience as well, with very few people around. If you don't want to or can't do an extended hike, then I'd work on three nights. One at Walker Creek, one at Sandy Creek, and one somewhere in between. You'd just cruise from waterfall to waterfall and do the short hikes there (and share it all with busloads of tourists). Regarding morning or evening... I don't remember it of the top of the head, so you have to research that yourself. Do have a look around for the schedules of all the commercial Litchfield tours. There are certain times of the day where all the buses rock up at Florence Falls, or Buley Rockholes, or Wangi Falls. That are the three destinations where you most risk finding yourself in the middle of a big crowd. Try to avoid that. Other than that I can't think of any timing issues of the top of my head. Join in and write your own page! It's easy to do. How? Simply click here to return to Litchfield National Park Australia.